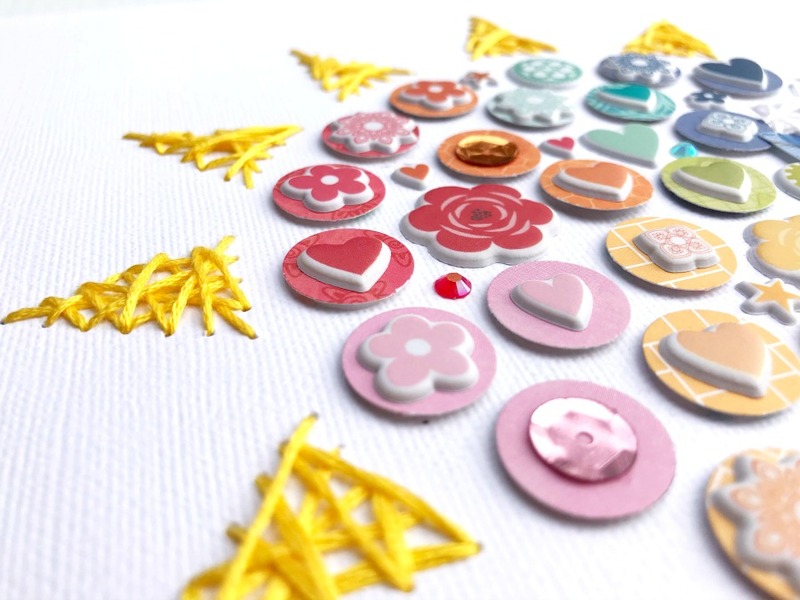 Getting the most from our craft supplies is something we all like to achieve so helpful hints always come in handy. Have you ever thought about storing your patterned paper left overs in large zip lock bags and keeping similar colors together? I have always stored my paper remnants in clear bags for easy access and also to see exactly what I have available when creating a layout like Friends Forever! 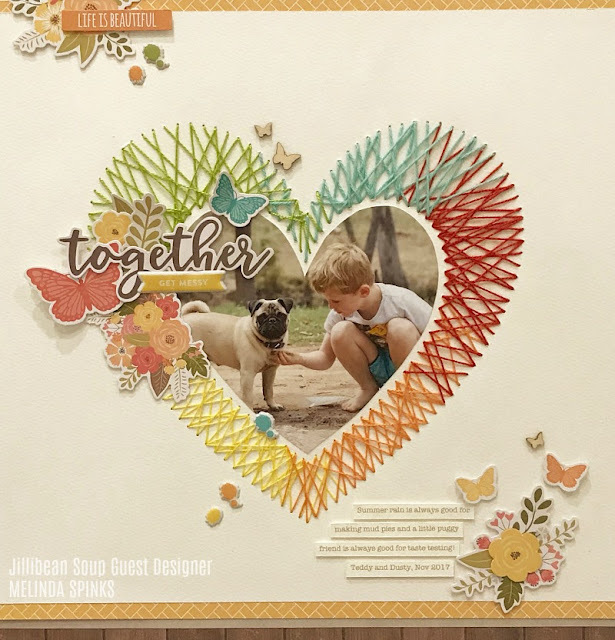 All the strips of paper are from various Jillibean collections yet they all merge seamlessly when placed together in the one design. At first when I laid the strips down they basically sat flat and didn't really achieve the look I was hoping for. So I roughed up the overlapping edge and curled it up slightly which gave it more dimension and appeal. Because I had so much colour in the actual design of the layout I chose to print the photo in black & white so it contrasted nicely with the background and actually stood out more. I am so in love with this new multi colour thread I found in a local store in town, so much so that I bought just about every colour combination they had. 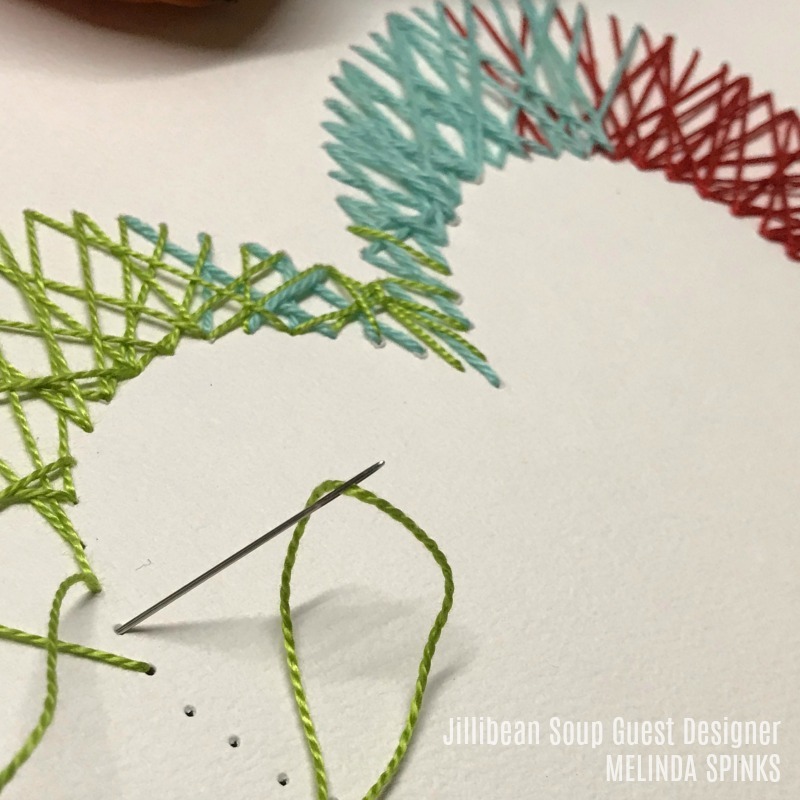 Stitching is usually a staple on my layouts and sometimes I add little knots and cut the ends just to add something different. Other: White Card Stock, Embroidery Thread. Do you create your layout theme to match your photos or choose your photos to match your theme? 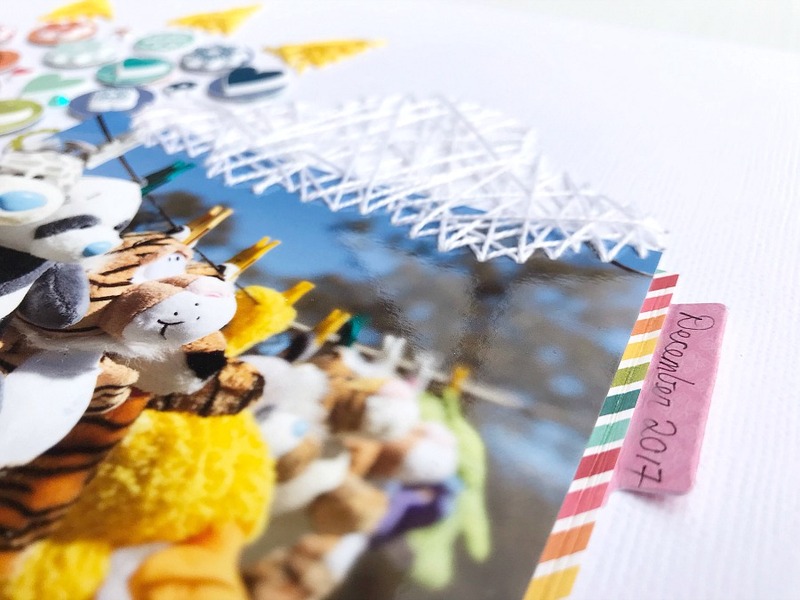 I chose to create a whimsical style layout as this photo of the washing line full of puppy toys lent itself to a more light-hearted design. I hand-stitched the sun’s rays and filled the inside with a rainbow collage made from punched patterned paper circles and embellished with Puffy Stickers and Shape Shaker Fillers. The title was created using an altered digital cut file and Co-ordinating Stickers before being overlaid with handstitching. I then placed two strips of patterned paper across the bottom to draw the eyes down towards the journaling and to give the layout an overall balanced appearance. I've never really been known to use multiple photos in my layouts but every now and again I surprise myself and come up with a design in my head that requires more than just a single photo. Actually, the photos dictated this design as I just loved the sequence of shots my littlest man and I had taken when we were attempting a selfie of his painted face. I just didn't want to leave any of the photos out as they told a story of how much fun we were having at this particular moment in time. 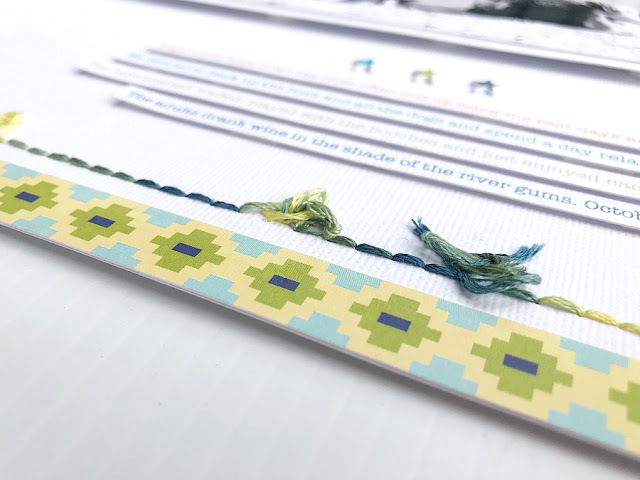 I used papers and embellishments from four different Jillibean Soup collections as I had a rough idea of the colour scheme I wanted to use so literally just picked a sheet here and a sheet there until I had all the colours I was after. 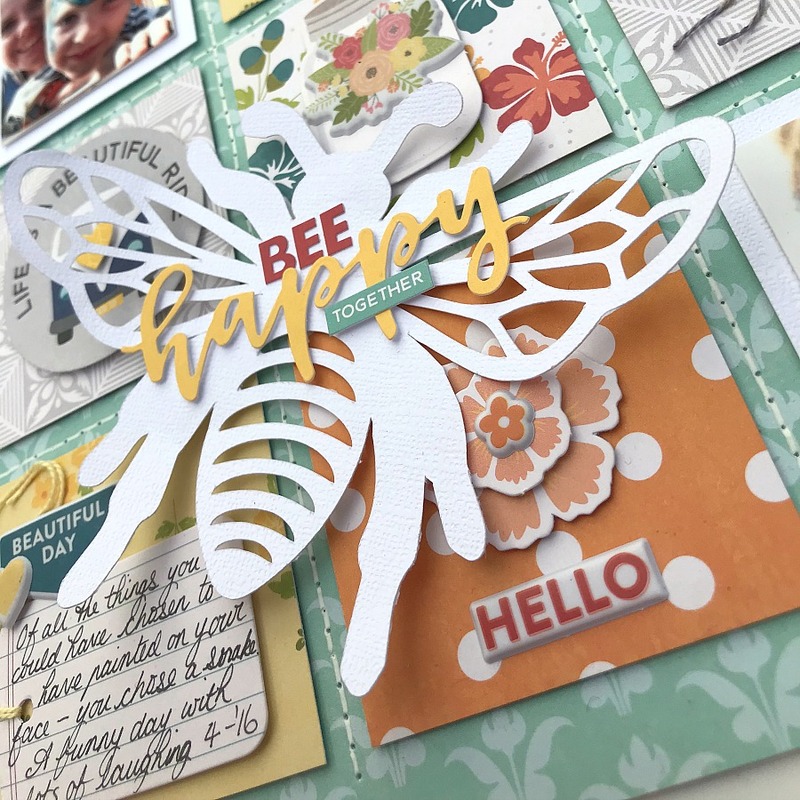 Once I had everything down on the paper I realised the title got lost with everything that was going on so I cut a white bee from one of the Jillibean Soup cut files and added the title over it which worked perfectly. Living on a farm in Australia means there's absolutely no way I'm going to ever have photos of my children Trick-or-Treating! Dressing up yes, putting on weird make-up yes but nothing to do with door knocking and collecting sweets from neighbours. However, that does not mean I can't use a Halloween themed collection like 'Pumpkin Party' on a layout, especially if the colours are perfect. My daughter recently finished her football year and it's tradition to celebrate 'Mad Monday' after the season finishes. So, this year her groups of friends wanted to dress as Minions, and my daughter took it one step further and dressed as the 'Purple Minion'. She looked so cute! I purchased a pair of fringing scissors recently so worked on a layout style that would allow me to give them a go. 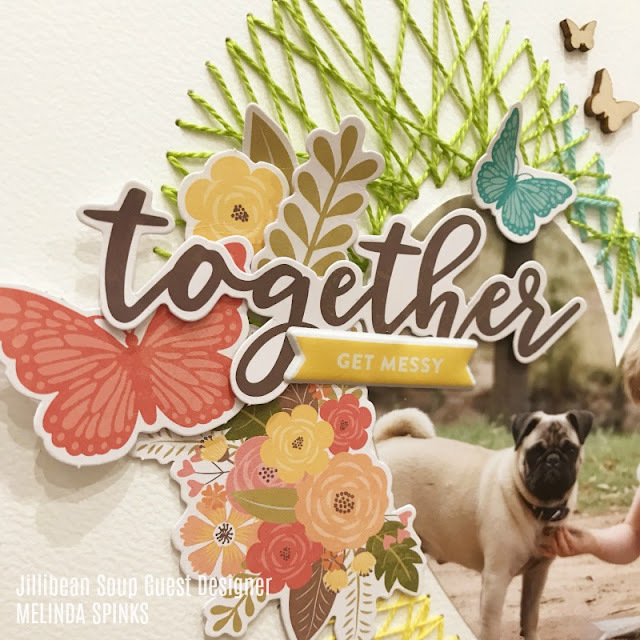 The new Petite Prints worked perfectly as I was able to choose the same pattern but run with different colors down my heart shape to create the fringed backdrop for the photo. 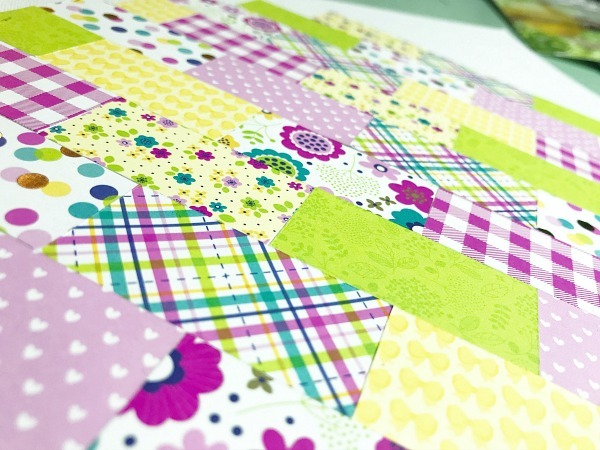 I just adore this tiny floral on the Petite Prints and the flip side is just as cute with a gorgeous grid pattern. And yes, those two objects are buttons!!! I say a big 'yes' to bringing back the humble button on layouts and cards, which is why I was really excited to see the 'Spooky Town Boutique Button Assortment' as part of this Halloween collection. 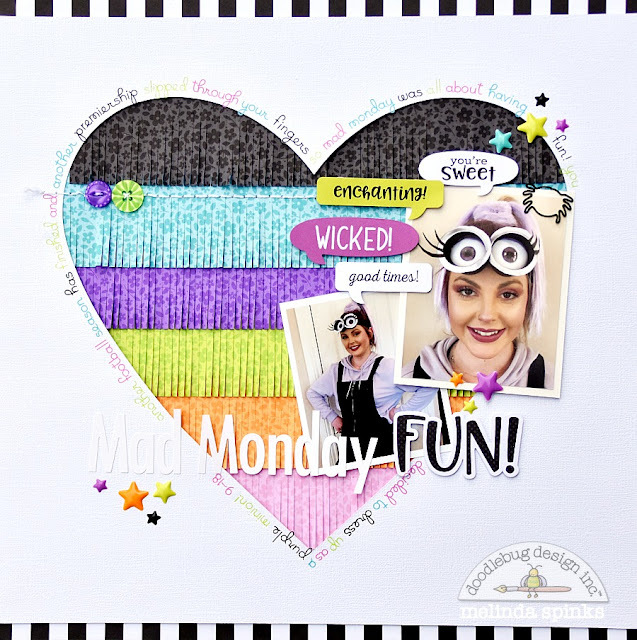 I journaled around the heart using up my Doodlebug Candy Shoppe tiny rub-ons... I'm getting close to running out of this staple so will be sad when I have to go back to hand writing. 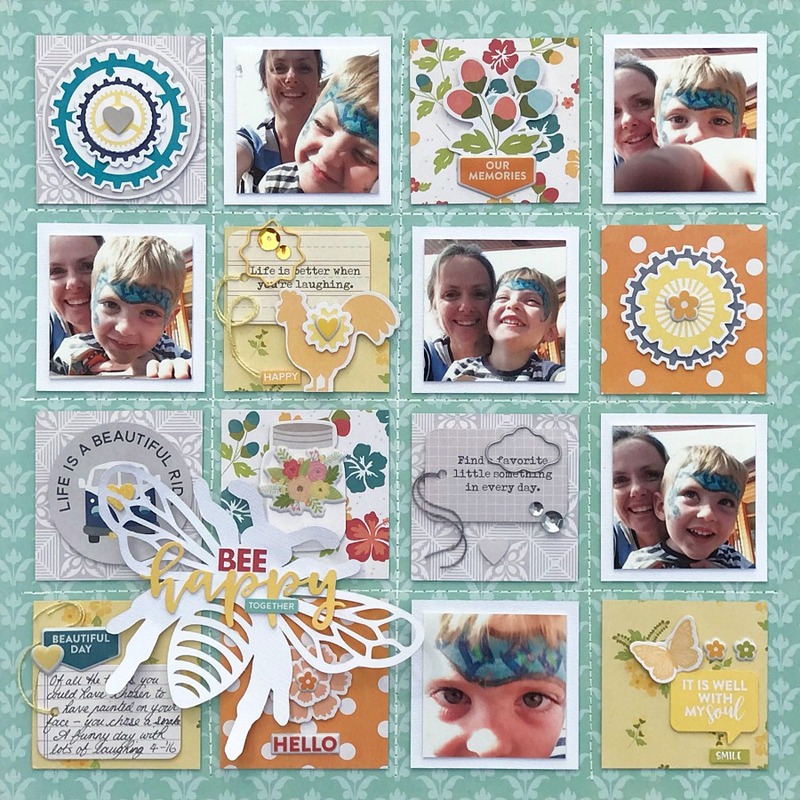 I hope I've given you inspiration for putting together a fun non-Halloween layout using our Pumpkin Party collection and the new Petite Prints. 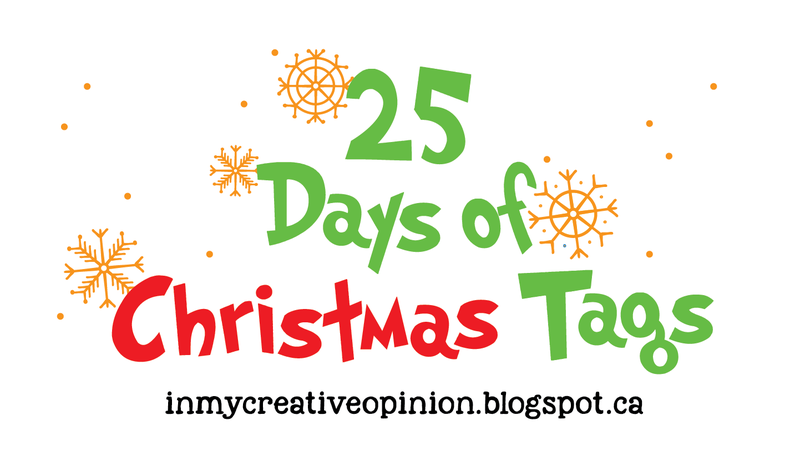 Welcome to Day 19 of "25 Days of Christmas Tags" - I'm delighted to be part of this wonderful concept created by Tracey McNeely. So, if you are visiting here for the first time you can find all the link up details and entry information HERE. 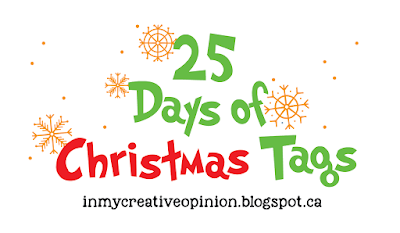 Today's sponsor is Jillibean Soup and as one of their design team members I'm honoured to be participating with a little tag I created just for today's event. 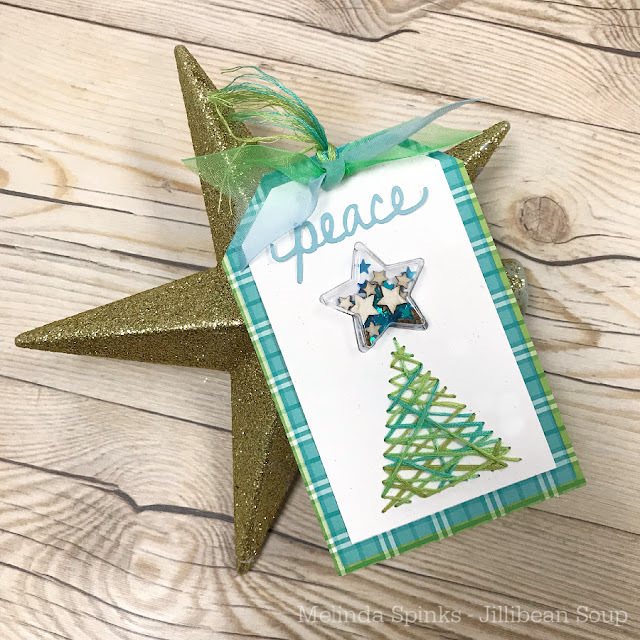 My tag was actually inspired by the Shape Shaker Program from Jillibean Soup as I really loved the Star Shaker and thought it would make a lovely addition to the top of a Christmas tree. 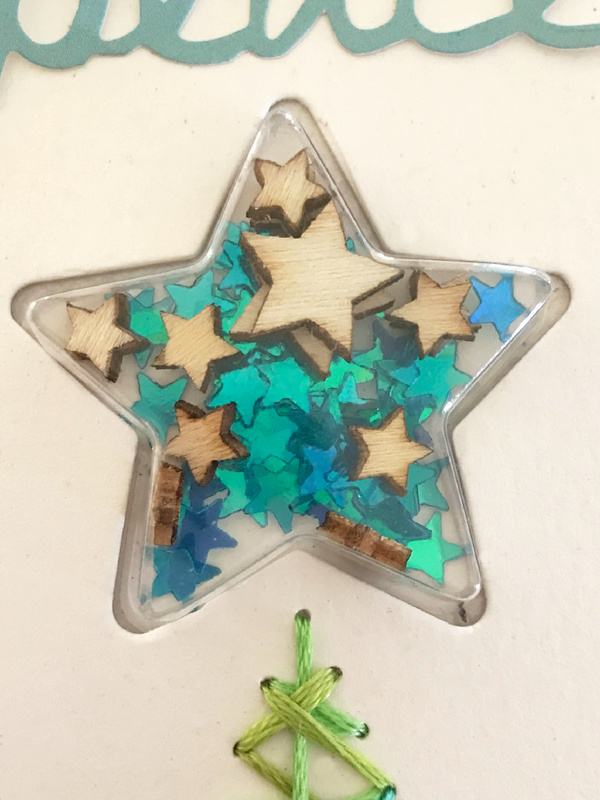 I used the Star Shaker Card and cut it down to size for use as the tag front before adding the Star Shaker and filling it with Shaker Filler - Wood Veneer Stars and blue sequin stars. And, as I've been rather addicted to hand stitching on my projects of late, I thought the little tree part of the tag would look really sweet in an ombre green/turquoise thread. It was also a perfect match for the brand new 'All About Plaid 6x8 Paper Pad' which I used the green and turquoise as a border edge for the tag. 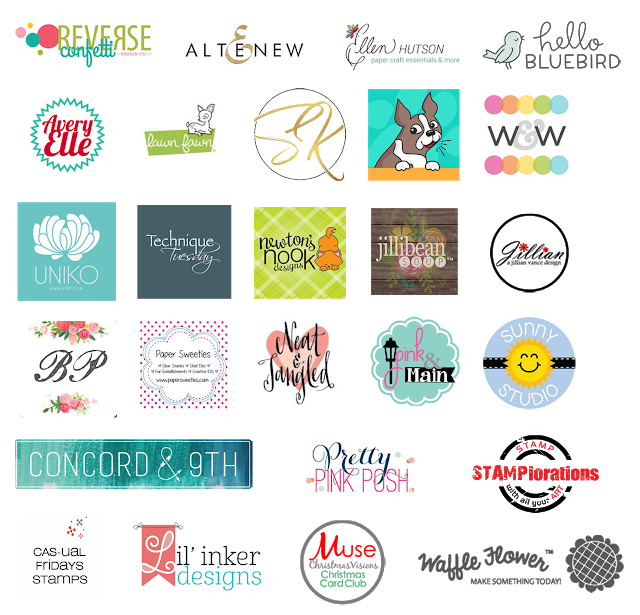 Jillibean Soup are not only the Day 19 giveaway sponsor they are also part of this wonderful group of amazing contributors to the '25 Days of Christmas Tags' event. 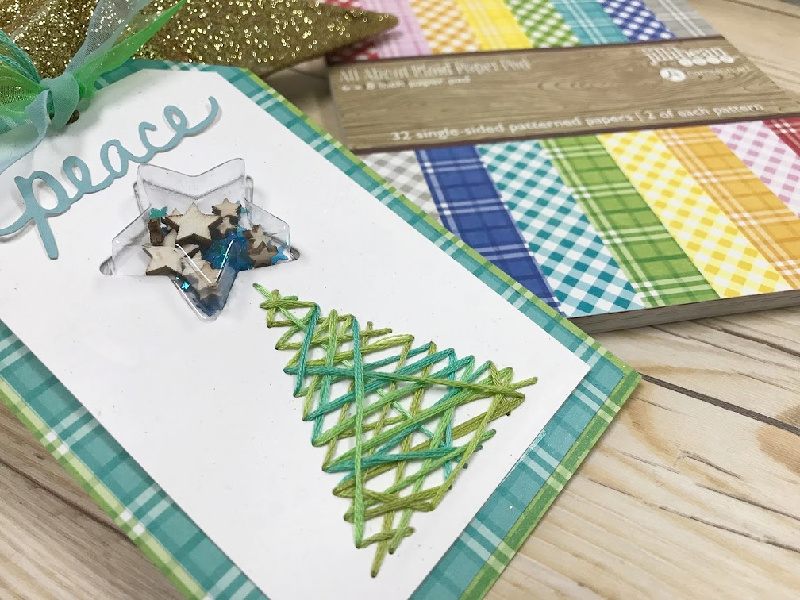 For full details on how to enter the giveaway and also to view all the other wonderful Christmas Tag inspiration head over to the official blog HERE! Hello! Yes, that's me saying 'hi' but also the name of the collection I've used for my layout. Hello from Doodlebug Design is a beautiful mix of bright and vibrant pinks and yellows through to the deep rich tones of turquoise and navy with the most beautiful addition of gold foil highlights... which just happened to be the perfect combination of color for this gorgeous photo of Miss Abigail Sandoval who recently celebrated her graduation. Yes, the name sounds familiar as she is the daughter of Cynthea Sandoval, owner and extraordinaire of Doodlebug Design. 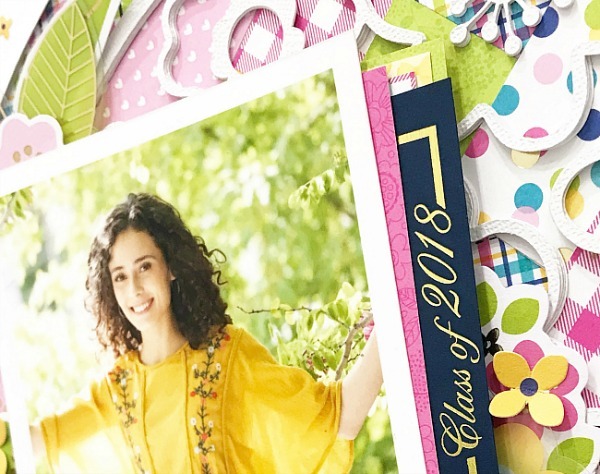 I was so thrilled to receive a graduation announcement via snail mail (all the way to Australia) complete with this beautiful photo and I really wanted to create a layout to send back. 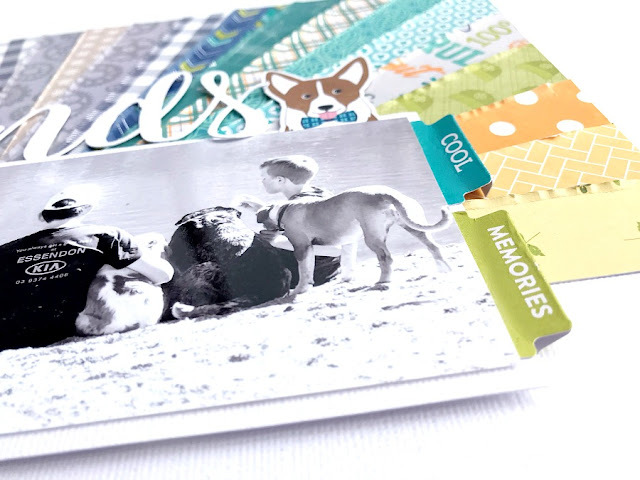 The Hello 'Odds & Ends' Pack has the wonderful addition of clear acetate pieces to give that extra lift to your embellishment clusters without detracting too much from the layout. 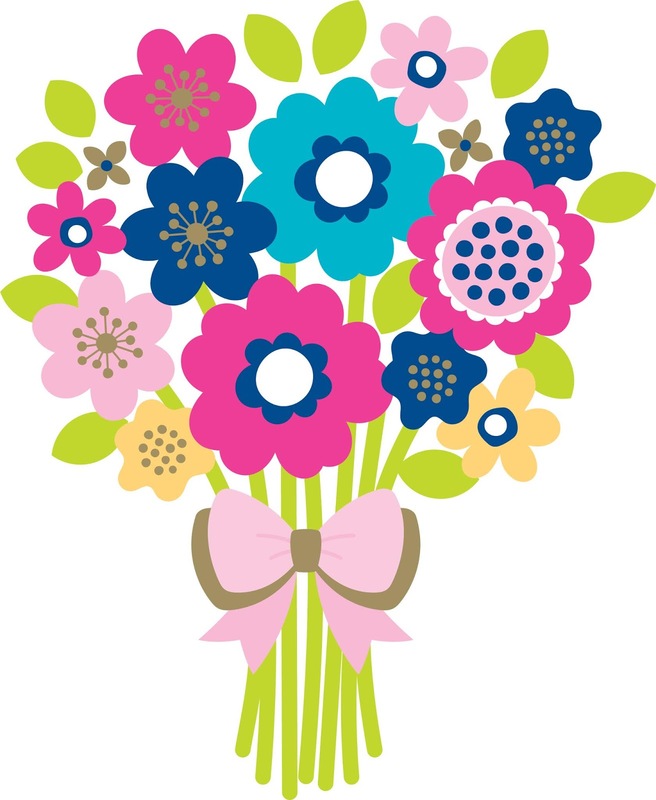 To make the lace overlay I uploaded the 'Hello' cut file 'Bouquet' into Silhouette Design Studio and played around with the flowers to form a circle. 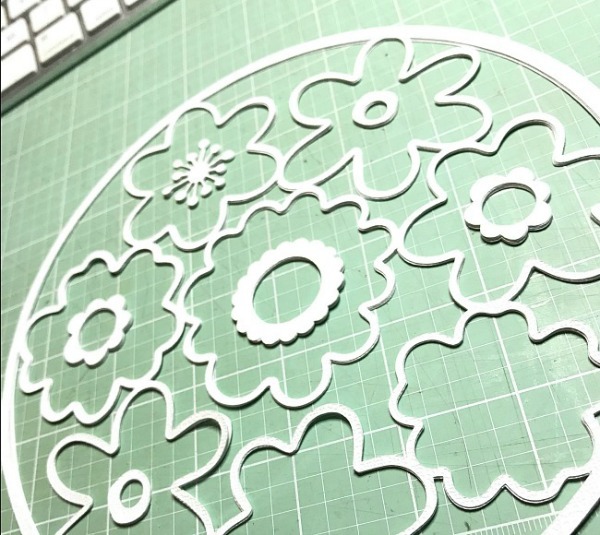 I added an outer ring to hold it all together although I left the flower centres as separate pieces. I cut four copies and mounted them on top of each other for dimension and height. To glue each layer together I used my Tombow glue pen as it was the only thing fine enough to place glue on the flower outlines. 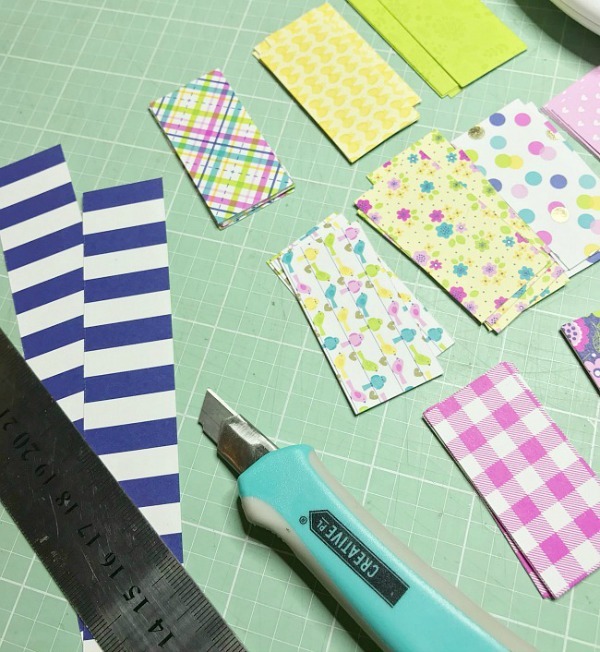 Next step was to cut 1" x 2" rectangles of various patterned papers from the Hello collection 6x6 paper pad that would match perfectly with the colors in the photo. I proceeded to adhered them to the layout in a diagonal pattern to form the base for the lace overlay. 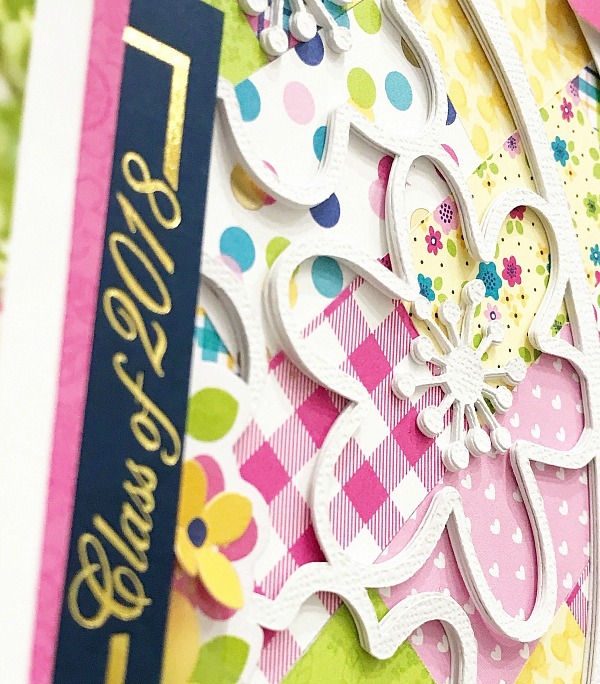 I attached the floral piece and the flower centres onto the patterned paper background and then added the outer ring cut from plain white cardstock to finish the design. I think I've badly neglected my blog as I realised I'm months behind with my posts so I'm going to sit here and schedule everything to catch up and then I won't feel so bad about being behind. This layout I created for when I was a guest designer at Jillibean Soup. I must admit I think it's one of my all time favourites. 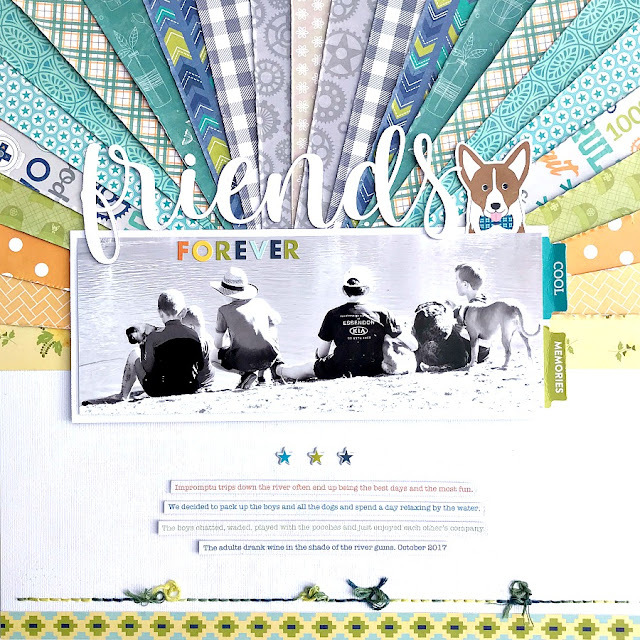 I combined both Farmhouse Stew and Shades of Colour in the layout showcasing their ability to mix and match cohesively. And just in case you were wondering how Icreated the heart to my background: I printed a heart on plain photocopy which was laid over the background card stock before pin pricking the holes for the stitching. Other: Cream Cardstock, embroidery thread, foam pop dots. 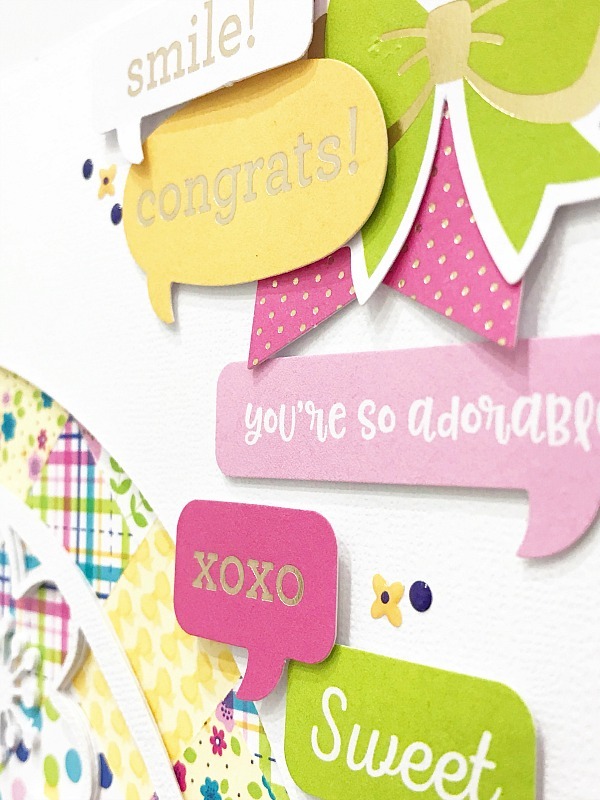 Have you ever wanted to add that little something extra to your paper craft designs but not sure where to start? In today’s tutorial, I'm sharing two ways you can take a technique or a product and alter them for a unique approach to your next project. 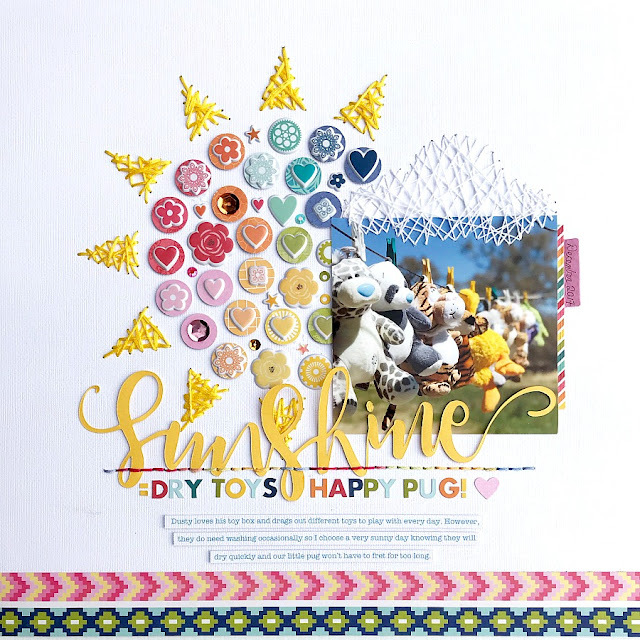 I used one of Jillibean Soup's new Mandala Cut Files and created a unique background for my layout. 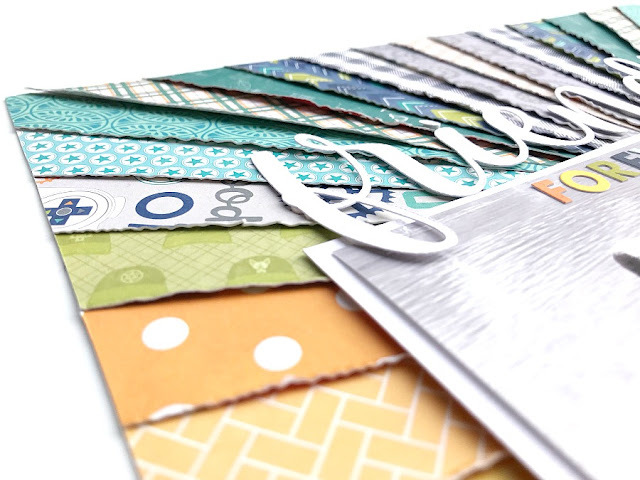 And, Jillibean Soup are offering my adaptation of the Mandala cut file as a FREE download. Open the Cut file and release the compound path and ungroup the image. 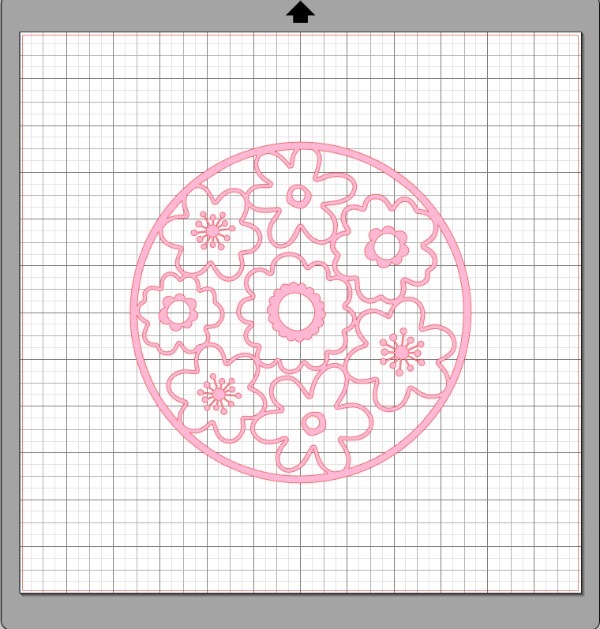 Move the two smallest mandalas from each group to the side of your project for later use and cut the background square and largest mandalas. 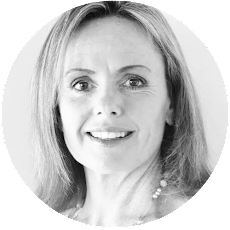 Delete those images once cut. 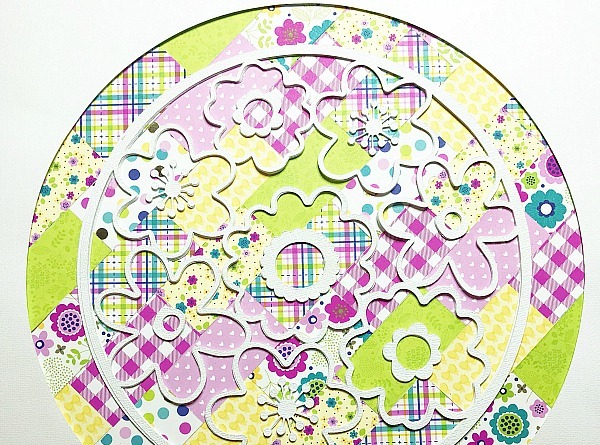 Continue cutting each set of the different size mandalas deleting them as you go. Important note: When closing your file, DO NOT hit save as you want to revert back to the original file. 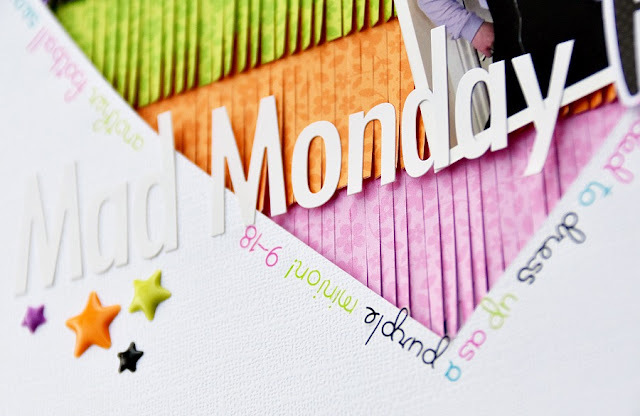 Adhere the cut square panel to the center of the layout but leave the edges free from adhesive. 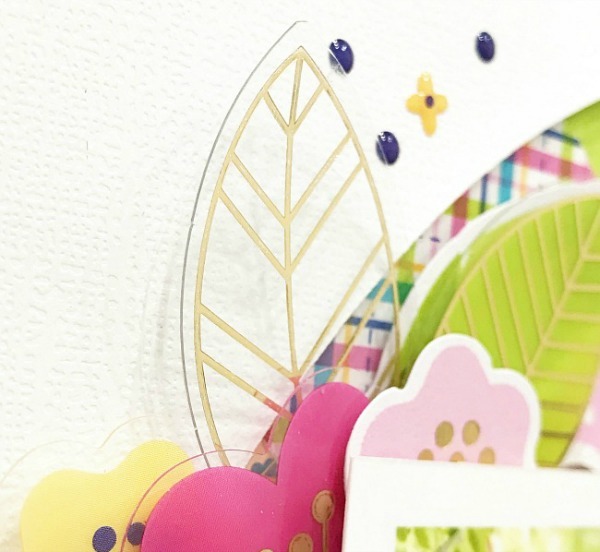 Using a paper piercing tool, poke holes around all four edges to be used for stitching. Layer the mandalas and glue together then adhere to your layout to fit perfectly in their corresponding shapes around the edges. 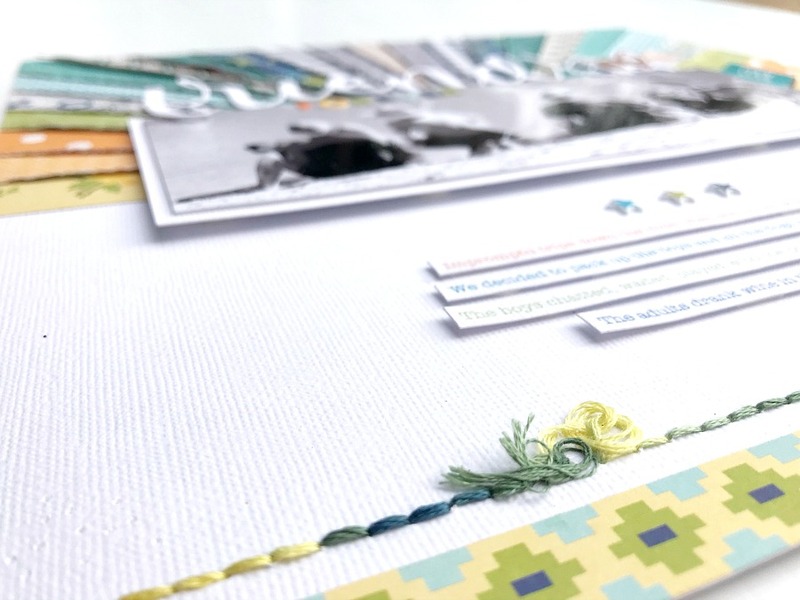 Hand stitching is not only a great way of attaching items to your projects, it also adds textures and interest. However, that doesn’t mean you can’t get creative with the stitches by adding in some loops, beads and sequins. 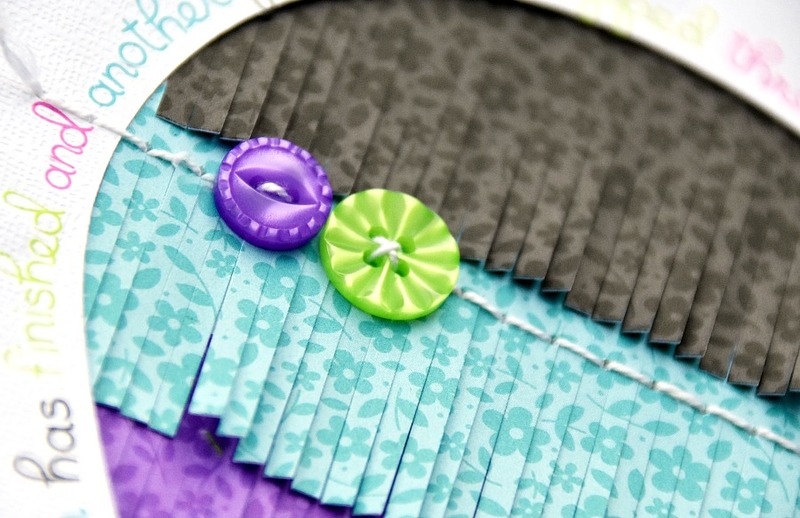 Using adhesive tape stick the end of your thread to the back of your layout near the first hole to be stitched. Bring your needle through to the front and add some beads for the first stitch. Again bring your needle through to the front and start twisting in around to make the thread twist then tie a very loose knot in your thread down near the hole. When you pass your needle through the hole the thread should get caught up and knot (this is what you need). Gently pull the needle completely through to the back but don’t pull tight so the knot remains in place. Then come through to the front again and add more beads or perhaps a sequin. Work your way along the row adding loops, beads and sequins as you go. When you have finished take your thread through to the back and trim. Place a strip of adhesive tape all along the stitching to keep the knots from undoing and everything in place.